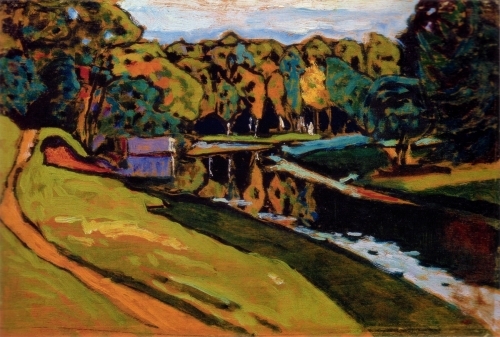 His first paintings were certainly largely executed in an impressionistic manner. Claude Monet made the strongest artistic impression on him. He "drew music", and, experiencing the attractiveness of surrealism, he increasingly introduced biomorphic elements, similar to certain primary organisms, into his paintings - along with the former geometric structures and signs. 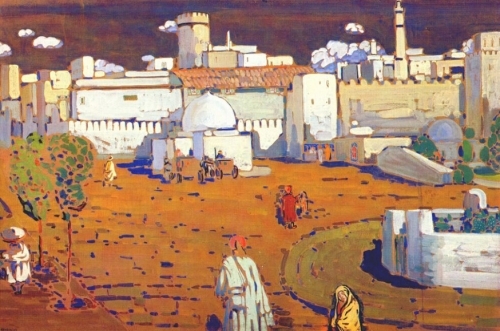 The dramaturgy of his oil and watercolor paintings is based on the free play of color spots, points, lines, individual symbols (such as a horseman, a boat, a palette, a church dome, etc.). 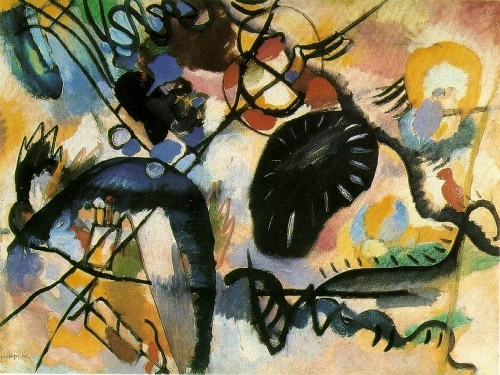 In 1910, Kandinsky created the first abstract pictorial improvisations and completed the treatise "On the spiritual in art." 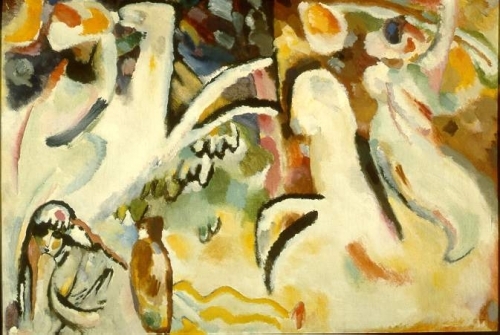 Considering the inner spiritual content to be the main thing in art, he believed that it is best expressed through the direct psychophysical effects of pure colorful harmonies and rhythms.